Karen Brown, the 31-year-old partner of Katie Taylor’s father, Pete, today Tuesday settled a €60,000 damages claim against Dunlaoghaire, Co Dublin, motorist Enda Curran who, it was claimed, rear ended them two years ago. Brown, who was listed in her proceedings as having two addresses, Camaderry Road, Bray, Co Wicklow, and Wyattville Road, Ballybrack, Co Dublin, was a passenger in Pete Taylor’s car on 5th March, 2017 when Curran’s car collided with it at Upper Glenageary Road, Co Dublin. Barrister Paul Gallagher, who appeared with Anderson and Gallagher Solicitors for Brown, told Circuit Court President, Mr Justice Raymond Groarke,that her claim had been settled following talks with the defendant’s legal team and could be struck out with an order for her costs. Details of the settlement were not disclosed to the court and it was not stated if a similar whiplash injury claim had been lodged or was being made on Mr Taylor’s behalf who was driving Ms Brown at the time. Mr Taylor accompanied Ms Brown to the Four Courts for the proceedings but neither of them had to attend in the courtroom. Mr Taylor was with Ms Brown, a marketing and sales consultant, throughout settlement discussions outside Circuit Civil Court No 28. 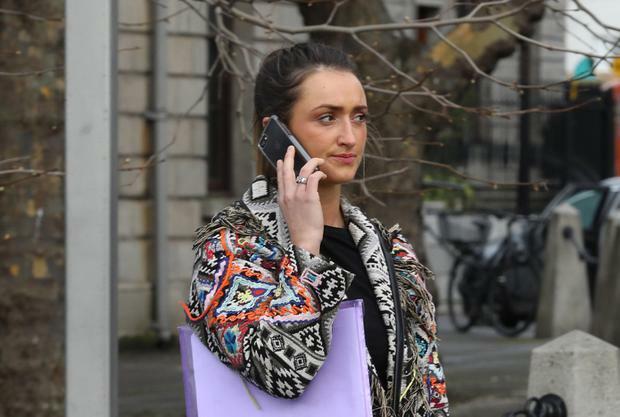 Brown claimed that Enda Curran, of Highthorn Park, Dunlaoghaire, had, due to negligence, breach of duty and while allegedly driving without due care and attention, rear ended Mr Taylor’s vehicle in which she was a front seat passenger. She claimed in her proceedings that she had suffered whiplash injuries to her neck, shoulders and back and that pain had not settled despite her having taken Neurofen. She had attended Dr Peter Joyce on May 25 at Beechlawn Medical Centre who found she had tenderness to her neck and upper back. Dr Joyce had prescribed anti-inflammatory medication but by early June she had reported that the pain in her neck was getting worse and that she was suffering a constant dull ache with shooting pains in her head. Brown stated in her claim that she had been unable to go to her gym or run due to the pain and that prior to the accident she had regularly exercised. She had undergone an MRI of her cervical spine and had been advised she should be seen by specialists.